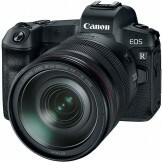 The Canon EOS R full-frame mirrorless camera features the Worlds fastest autofocus of 0.05sec which is functional down to -6EV, a 30 megapixel full-frame sensor, touch and drag AF with 5,655 AF positions that can be selected virtually anywhere in the frame, a magnesium alloy body, 4K video recording, truly silent shooting, and an EVF with 100% coverage and 3.69 million dots. 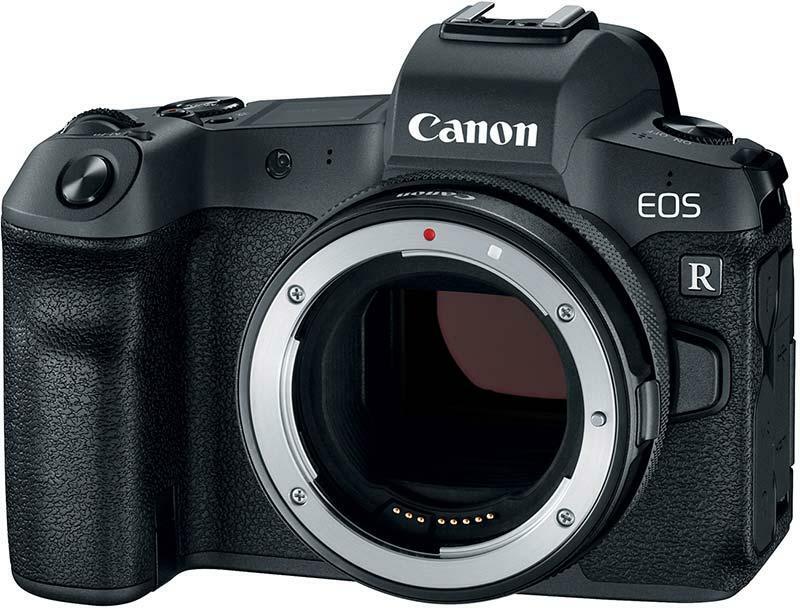 The Canon EOS R system has now been officially announced – “This is the first chapter of a new story”. Development of an entirely new mount, plus full-frame sensor, that has been built from the ground up. A new 54mm internal diameter lens mount with short back focus allows for greater freedom for optical design, with a 12-pin data communication system. The EOS R is made for video, offering 4K recording with full audio control, 10-bit output over HDMI, a vari-angle screen, 12 stops of dynamic range at ISO 400, and 5-axis movie IS. The Canon EOS R is “Our most personal camera yet” – almost every control on the camera is customisable. Adapters are an integral part of the EOS R system, with 3 new lens mount adapters allowing backwards compatibility with almost all EF lenses ever released. Canon is also introducing a new compact and lightweight Speedlite, the EL-100. Designed for photographers who are just beginning to use an external flash or are in need of a secondary unit, the new Speedlite delivers both soft and natural lighting reproduction. The Canon Speedlite EL-100 will be available for purchase in October 2018 for an estimated retail price of $199.99. 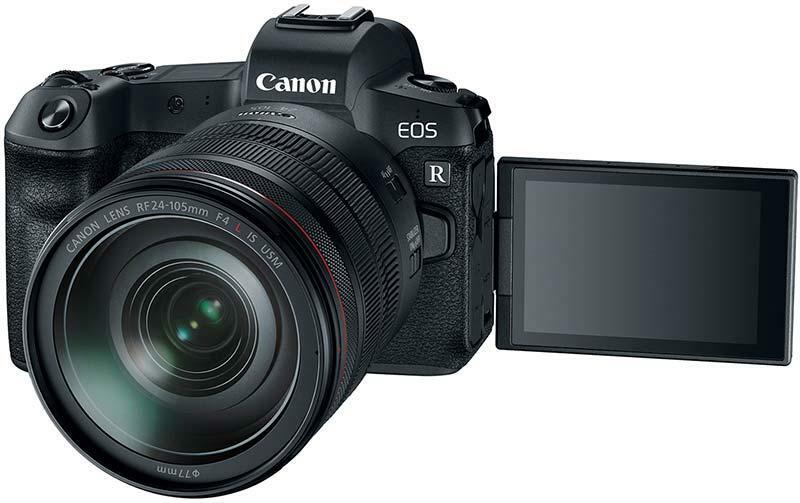 London, UK, 5 September 2018 – Canon Europe, world leader in imaging solutions, has today redefined the frontiers of photography and filmmaking with the launch of the pioneering EOS R System. Over thirty years on from the original, era-defining EOS launch, the bold, new EOS R System will once again expand photographic possibilities in countless ways. The new RF lens mount has been engineered with the perfect blend of optical, mechanical and electronic design to capture unique moments in previously impossible ways. Adding to the EOS full frame line-up, Canon has today unveiled the first camera body to carry the EOS R name and RF lens mount - setting the new standard for the camera of tomorrow. With the world’s fastest autofocusiii, it is also the world’s first camera with the ability to focus in light conditions as low as -6EViv and totally silent shooting, providing stunning quality results every time. The EOS R redefines photo and video performance with unrivalled image quality, state-of-the art connectivity, refined ergonomics and responsive handling. Further expanding the existing EOS System, Canon today also launches the EF-M 32mm f/1.4 STM – a new 32mm lens for the EOS M mirrorless system – and the EF 400mm f/2.8L IS III USM and EF 600mm f/4L IS III USM, two revolutionary, lightweight professional super telephoto lenses for the EF System. Canon (UK) Ltd is the UK & Ireland marketing and sales operation for Canon Inc., employing around 2,000 people. Canon invests heavily in R&D to deliver the most innovative products and services to satisfy customers’ creative needs. From amateur photographers to professional print companies, Canon enables each customer to realise their own passion for image. 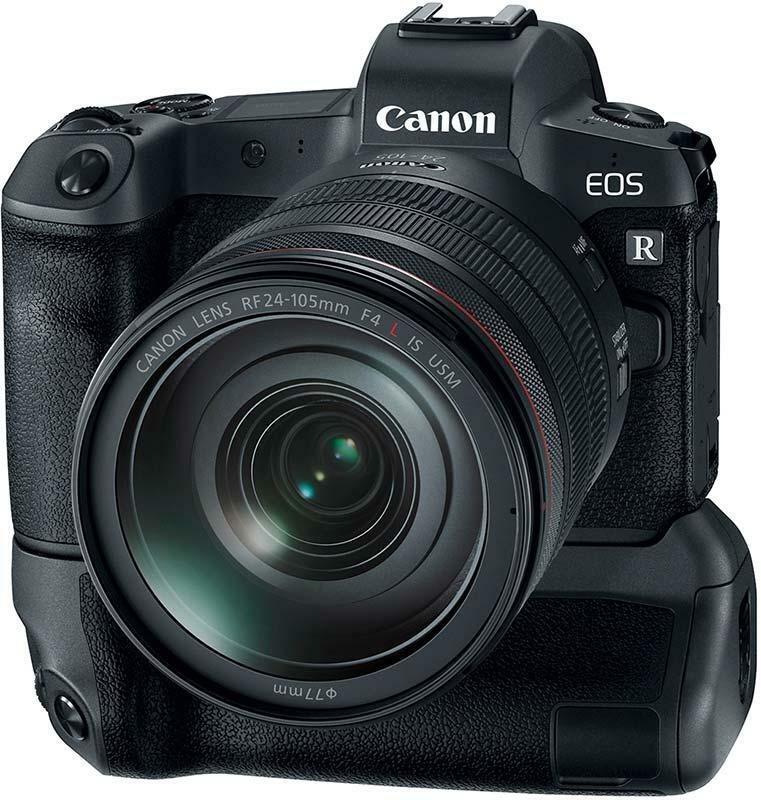 The new Canon EOS R camera features Dual Pixel CMOS Auto Focus with 5,655 manually selectable AF pointsiv, supporting AF at up to f/11 with a 384 zone (24x16) real-time metering system. 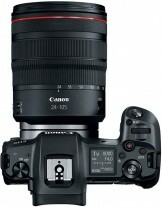 With f/1.2 lenses, the camera astonishingly boasts AF sensitivity in low light in as little as EV-6. When using the RF 24-105mm F4 L IS USM lens with the EOS R, the camera can focus in as little as 0.05 seconds with Dual Pixel CMOS AFv, making it the fastest autofocus speed in the worldvi. These features provide photographers and videographers with Canon’s most advanced AF system to date. The EOS R also features a silent shutter setting when shooting in single-shot mode; an important feature for those who need to capture imagery without disrupting the scene. 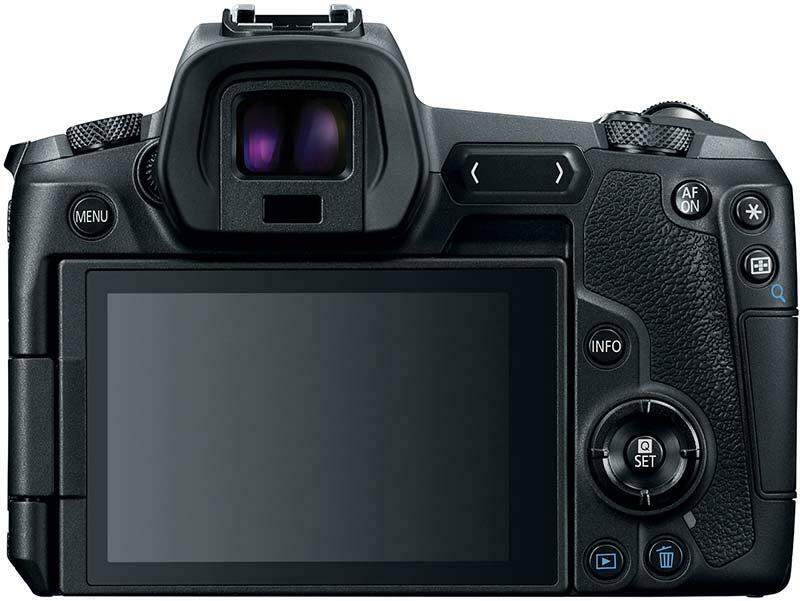 An upcoming free firmware update will enable silent shutter in continuous shooting mode as well. i When attaching an EF-S lens via any of Canon’s new R-series mount adapters, the new EOS R automatically switches to APS-C crop mode. ii When attaching an EF-S lens via any of Canon’s new R-series mount adapters, the new EOS R automatically switches to APS-C crop mode. iii Continuous shooting speed may vary depending on the shutter speed, the aperture, the lens being used, the battery charge and various camera settings. iv Available AF points may decrease when shooting with AF cropping or in movie mode, or depending on camera settings or lens attached. v Based on results of AF speed tests in accordance with CIPA guidelines. Results may vary depending on shooting conditions and lens in use. Relies on internal measurement method. vi Among interchangeable lens digital mirrorless cameras incorporating 35mm full frame equivalent image sensors with phase-difference detection AF on the image plane and contrast detection AF, available in the market as of September 5th, 2018 (Based on Canon's Research). vii Compatible with iPad models utilizing iOS 11 or later and equipped with at least 2GB of onboard RAM—specifically, iPad Pro (all models), iPad (5th generation), iPad (6th generation), iPad mini 4 and iPad Air 2.